Grace did an apprenticeship in retail and now works as a bridal consultant. Her advice is to take every opportunity you can, especially work experience. My first job was making wedding veils at Elizabeth Dickins, a designer and manufacturers of wedding veils. This is where I first started learning about the wedding industry and all the latest bridal fashion trends. I completed a week’s work experience at Elizabeth Dickins whilst at school. I was then offered a part-time job there, which I did during school holidays and on the two days a week when I wasn’t at college. When I was at school I always wanted to work in a bridal shop. I always knew that I was going to have to work up to it though. I had a love for fashion and bridal wear; I was also always so interested in different bridal designer’s work. My work experience at the veil manufacturer gave me more of an insight on the future I wanted. Even though I enjoyed my time making veils and still do, it made me realise that I wanted to work with the customers and see where the products go to. I first found out about bridal consultant training through a family member. My auntie was working at Elizabeth Dickins; she got me my work experience. After leaving secondary school, I attended an Art and Design: Fashion two-year course at college. During the course I was also working part-time at the veil company. As part of my college course I had to complete 2 weeks’ worth of work experience. I did one week at the veil factory, and the other at Brides by Solo, which is a bridal boutique shop. This was the foundation of my bridal consultant training. 4. How did you get to where you are today? My bosses at Elizabeth Dickins helped me find the work experience placement at Brides by Solo. 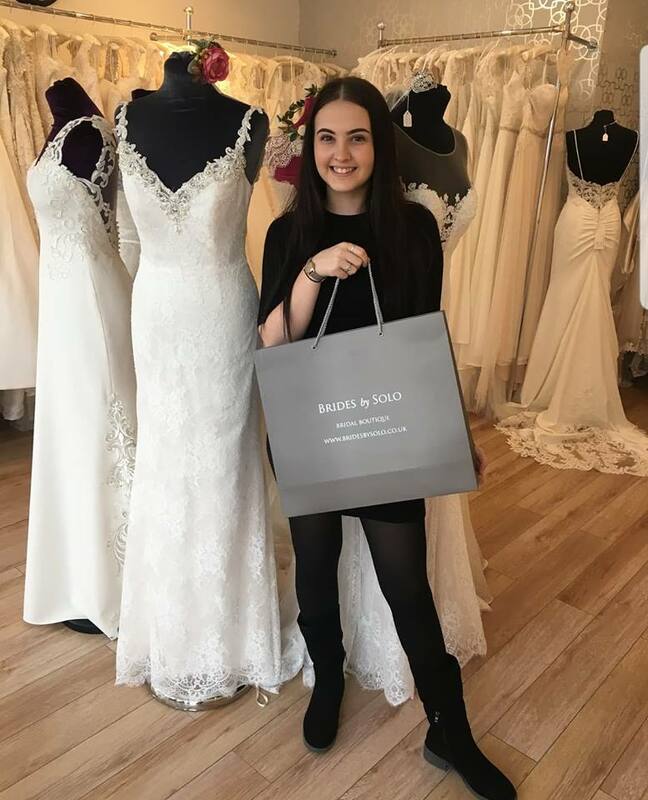 My work experience at Brides by Solo included tasks such as designing window displays, helping customers, preparing the dresses and sorting deliveries. After the placement ended, I was contacted by Odette, the owner of Brides by Solo. She offered me an apprenticeship, lined up for when I’d finished college. Once completed my year-long apprenticeship I was offered a full contract at the company. We meet new brides every day and receive new dress deliveries all the time. Every bride we have in the shop is completely different, so our days are never the same. 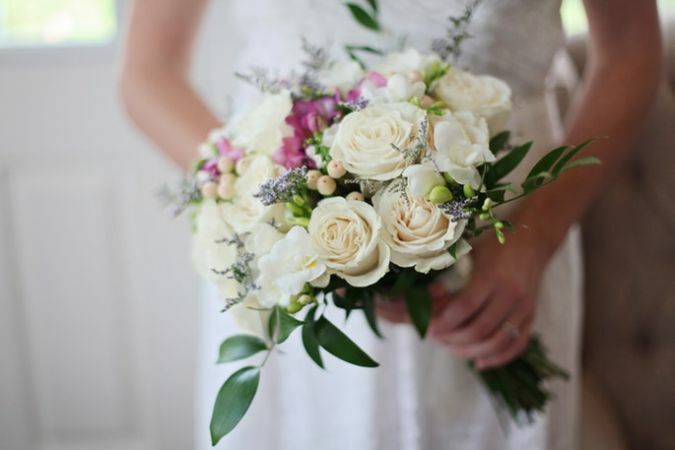 A typical day can include sorting deliveries (new stock or customer orders), assisting new brides, updating social media and completing alterations. As accessory advisor for the shop, I’m also using my knowledge about veils to help brides design and choose a veil to match their dress. Maintaining the shop’s social media and website can be quite a time-consuming job. Social media is important for us as a business; it’s how many of our customers find out about us so we have to make sure it’s always up to date. The best thing about my job is being able to help the brides choose their dream dress. It’s such a special time for them and to be part of it is a special experience. The most challenging thing about my job can be helping pick the new styles for the next season. Our decisions can make a difference on how the year is going to pan out. We have to make sure we are picking the right dresses for our shop. When buying in new stock the process is just as long for us as it is our customers. It takes four to five months for new stock dresses to come in, meaning we are picking the new season of dresses months in advance. We don’t know what the fashion is going to be like five months in advance, so we have to make sure we know our target market and also know the styles and designs we sell the most of. Take every opportunity offered to you, especially work experience. Without the placements I had, I wouldn’t be in the industry I’m in today, and my apprenticeship allowed me to learn whilst working. I don’t think there is anything I wish I’d known before starting my career because I’ve enjoyed learning every aspect of my job role. Just make sure you’re happy with the role you take. In five years’ time I would love to still be working at Brides by Solo continuing to learn new things and being part of the growing business. I would like to be attending more buying events and using my skill and knowledge of veils to produce more bespoke veils for customers.